Vigorous plant. 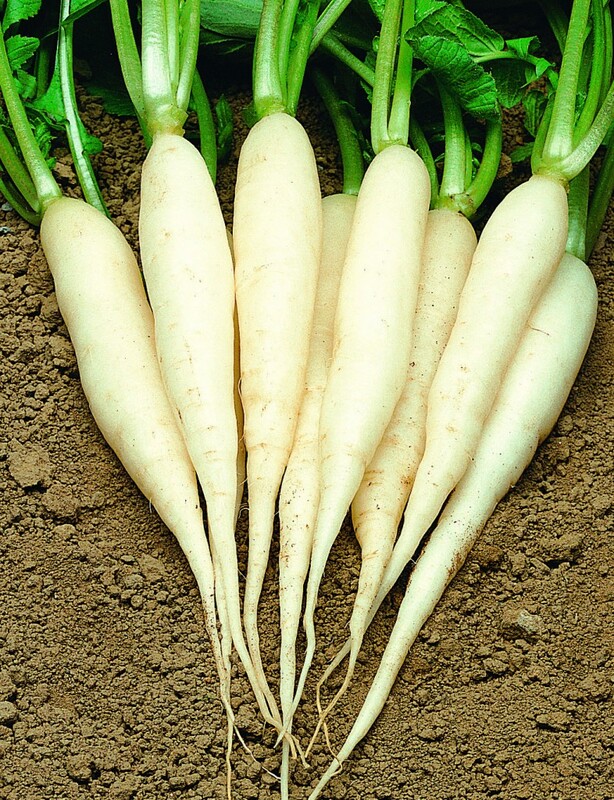 Long radish, 15/18 cm, cylindrical-conical with round shoulder and pointed at the tip. White tip. Smooth skin without lateral rootlet.